Although my Camino walk doesn’t start until next week, I leave the house tomorrow. That means today is packing day. How do I fit all of this . . .
. . . into this? I’m seriously considering changing the camera I take from my “new” Pentax point and shoot to my old, faithful, Canon. I’m torn between these two. What do you think? Time is of the essence. Please help. Thanks. This entry was posted in camino de santiago de campostella, Travel and tagged backpack, cameras, hiking, packing, trip preparation. Bookmark the permalink. 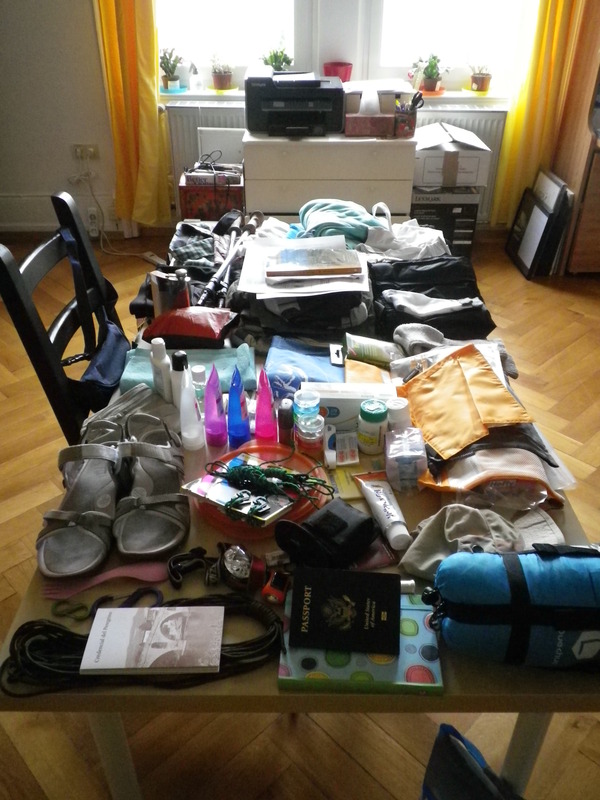 Are you bringing every thing on the table with you? 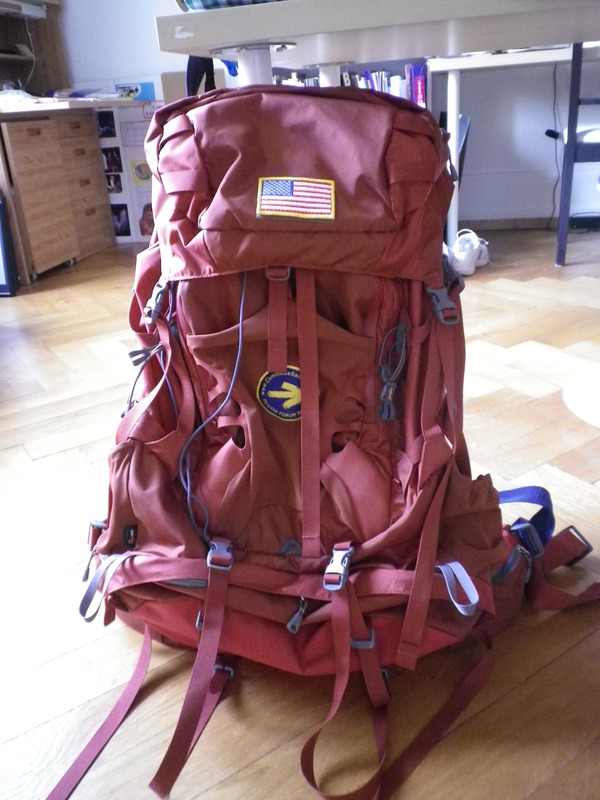 I am hovering around 13lbs, pack included, but have a lot less stuff – mind you I realized I forgot a few items as it was just a trial run. Loose as much as possible luggage, but take your best camera, the photos will be a huge part of your memory of the Camino. And blog along the way, nearly every place have internet access… Buen Camino… ps- the less you carry, the more you will enjoy it- keep it under 10 kg’ s! Hey, Rider! Thanks for your comment about which camera to take. I am in France finally and have just gotten online, yours is the first comment I’m replying to! I’ve been taking pictures here with both cameras and I think I am going to take the smaller one, although I have to worry about the battery. If you see pictures in the next few days on my blog, let me know if you spot a difference in quality. Thanks so much for following me and for your support. I need it!